Fluffo is the producer of soft, 3D Wall panels. Their offering consists of unique acoustic panels, which apart from their soundproofing function constitute an original and beautiful wall adornment. Fluffo decorative acoustic wall panels work well in any space, wherever you require a soundproofed interior with an impressive look. 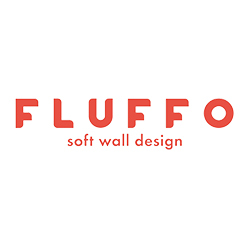 Fluffo recently introduced a new line of products consisting of flame retardant striking wall panels for offices, acoustic screens, acoustic desk divider panels and 3D panels for glass walls – all products share the same traits – elegant design and superb soundproofing properties. All eye-catching wall panels and products dedicated for office interiors stand out with their high quality, rich colourful palette, shape diversity as well as exceptional sound absorbency. The possibilities are endless. In spite of their complex shape, Fluffo panels fit each other perfectly. They are designed to create original patterns, where the crevices between the panels are an integral part of the design. Fluffo – invented, designed and produced in Poland & distributed by Huntoffice Interiors in Ireland.